My Vitamin d level is 11 and the doctor prescribed the 50,000 IU Prescription Vitamin D once per week. I have not taken it. I am taking vit d made with d3 400 i.u. a day. Is that enough. I am suffering from tinnitus and numbness and cramps in the toes . I am Hoping vitamin d will give me relief. I value your help. No, 400 IU's is NOT enough!!! I moved your comment from my blog to my site in order to give this it's own page. While it's great that you are not taking the Prescription Vitamin D, 400 IU's is not even close to being enough vitamin D to even MAINTAIN your levels, let alone bring them up. In fact, that is HALF of the amount required to maintain a newborn infant's levels. 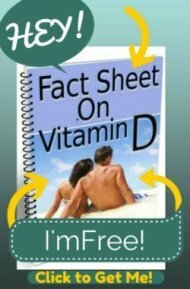 So, please read my page on Vitamin D Deficiency Treatment page to see why you NEED the amount that your doctor gave you- you just want to take Vitamin D3 Supplements instead of the prescription. Unfortunately, I don't think that your symptoms are going to improve with the vitamin d, and they may be even worsened. That's because your symptoms sound much more like Signs of Magnesium Deficiency rather than Symptoms of Vitamin D Deficiency. While you SHOULD still take care of your vitamin d deficiency, I would HIGHLY recommend that you read the page on Magnesium and Vitamin D page and when you begin to take your Vitamin D3 Supplements, it would be wise to consider getting the right Magnesium Dosage along with it. Thank you so much for your quick response. Is there a blood test for magnesium deficiency and it is for vit d deficiency? Please be sure to read my pages carefully and go to the links that I recommend (the blue underlined phrases) because the answer is linked on both the magnesium pages that I sent you to. You can go to my page on Magnesium Levels to find out the answer to your question and why I don't recommend relying on them. I also had really low levels of vitamin d as well when I went to my doctor 4 months ago. My vitamin d level was a 8. My doctor was quite alarmed. I also used this site which helped me a lot at this time as I able to follow the advice given and not just relying solely on my doctor. 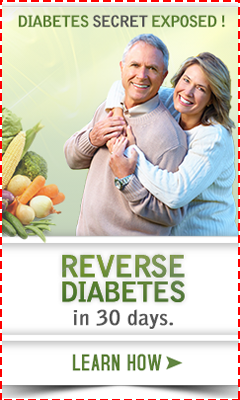 I started a regimen of vitamin d3 50,000 three times a week and along with some help from an alternative doctor and this site I changed my diet and also started taking magnesium supplements as well. All I know when I went back to the doctor my vitamin d level was at a 92 in only the matter of 3 months. I was very on top of my regimen as I was determined to see if my vitamin D level would change and it did. But for me it was also the issue of cutting the wheat and gluten out as I was highly allergic which is why I wasn't absorbing vitamin D and that now with that change my body was able to absorb vitamin D.
Even now with my vitamin D levels being normal I continue to stay on my diet of not having wheat and gluten and it has made a huge difference in my life along with a weight loss. One huge change I have noticed since taking the magnesium for me is that my anxiety levels are so much better and I am so much more calmer.